Get you some good books, people. It’s already been a good time for the King of Wakanda lately, with the Black Panther movie earning some historic Oscar nominations, and heading back to theaters to celebrate. But Marvel’s keeping the celebration going, and highlighting Black History Month, with a sweet deal on some of the best comics Wakanda has to offer. By going over to Marvel.com and using the code—of course—“FOREVER,” you can pick up free digital copies of five very good slices of Black Panther comic storytelling: Black Panther #1 (2005), Black Panther: World of Wakanda #1, Marvel’s Black Panther Prelude #1, Black Panther #1 (2018), and Shuri #1. 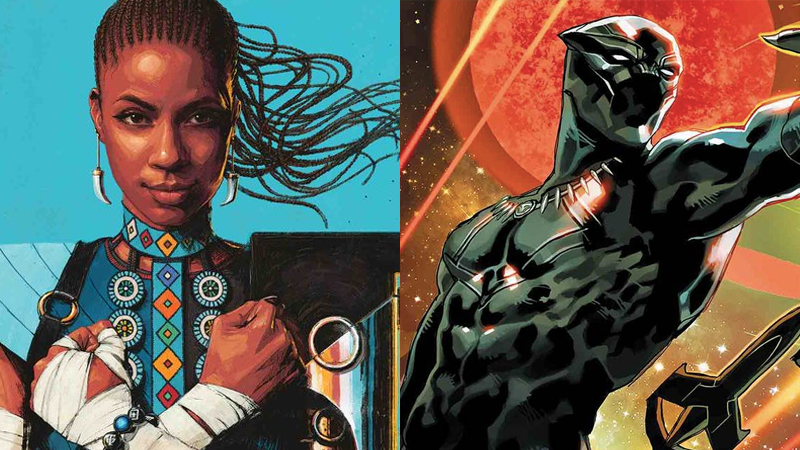 These are not just great comics, they’re also specifically great jumping-on points for the fans of the movie to dip their toes into stories of Wakanda that play on elements they know and love from the movie. And in the case of Black Panther Prelude, it’s actually set within the world of the MCU, telling a tale of how T’Challa actually first donned the Black Panther mantle before the events of Captain America: Civil War. Suffice to say, it’s a pretty good mix—and hey, no harm in trying them all out for the low price of nothing at all, right?